Hello fellow outdoorsmen and women. Today’s outdoor product review is for the Minus 33 Chocorau Midweight Wool Crew. This midweight wool top is made from 100% Merino Wool. The top is breathable and moister wicking. But, before I get into the review, I need to provide a product disclosure. So, here it is. 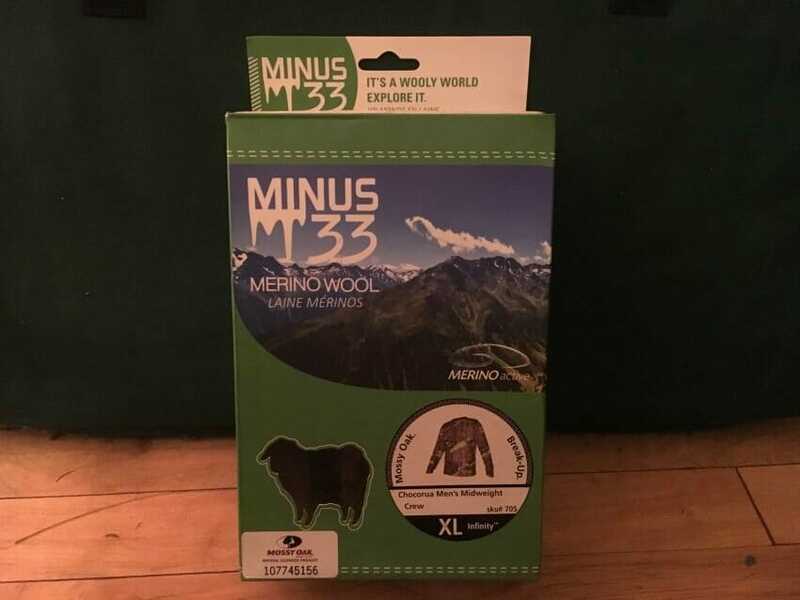 Disclosure of Material Connection: I received Minus 33 Chocorua Midweight Wool Crew for free from Minus 33 in consideration for a gear review. Now that the disclosure is complete, let’s get into the review. The first thing I noticed about the Minus 33 Chocorua Midweight crew is that the shirt is soft and lightweight. Upon putting on the top I was amazed at how soft and comfortable to the skin it was. I barely even noticed I was wearing it. Another bonus for me was that the sizes run true. No “sizes run small” or “sizes run big” phrases you here about. I wore my wool top while deer hunting during archery and firearm season. The temperatures ranged from mid 30’s to mid 40’s during archery hunts. 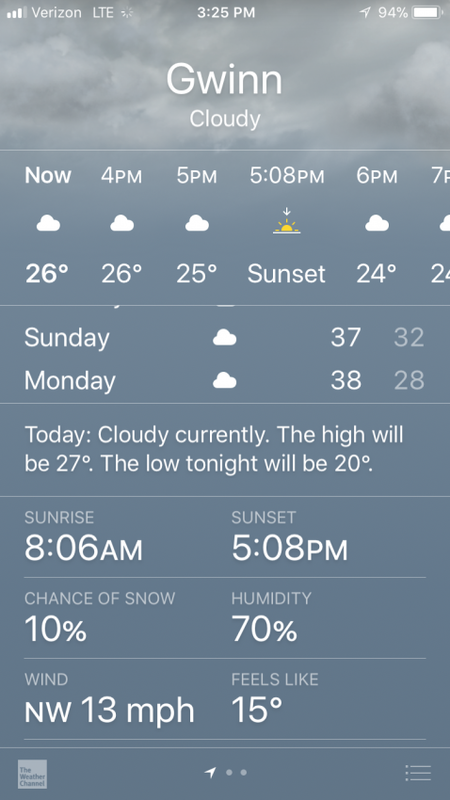 Temperatures fluctuated from the low 20’s to the lower 30’s during the firearm season. The windchill’s did dip down to the mid teens a few times. I was inactive during the hunts and the Minus 33 Chocorua Midweight Wool Crew still kept me warm. I know the temperature ranges are a little low for a midweight top, but since I am use to these conditions the top performed so well that I was comfortable. I can’t emphasize enough how comfortable this shirt is to wear. Even after sitting all day I barely noticed this top was next to my skin. Caring for the shirt is pretty easy. 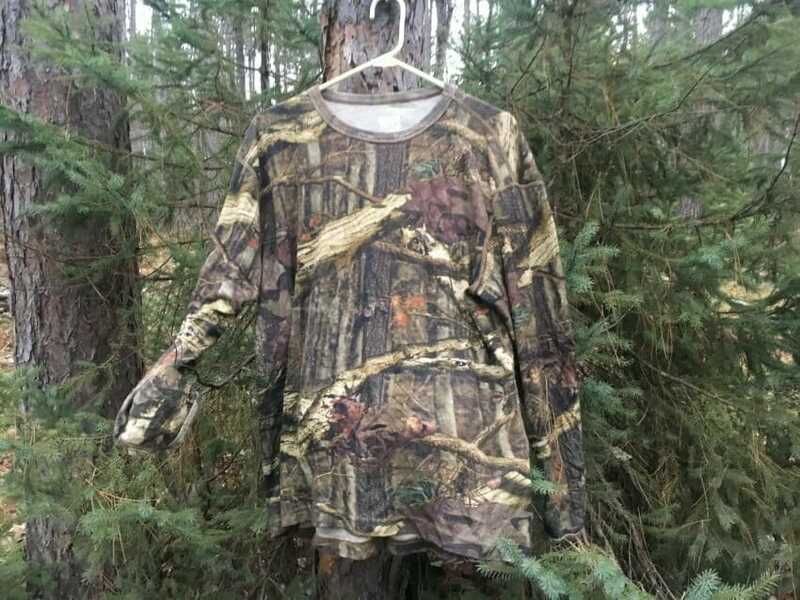 I just washed and dried it with my other hunting clothes. I have wore the shirt all day, washed it several times and it still holds its shape well. The Minus 33 Chocorua Midweight Wool Crew is soft against the skin, comfortable to wear and very breathable. I highly recommend that people get this wool top. The comfort alone is worth every penny. Thank you for your time in reading my review and as always, if you enjoyed the read, please share the review with your friends on social media. You can read other articles from me HERE.